With access to education, women can do amazing things: launch businesses, become health workers, run schools, and lead governments. But education is not freely available to everyone – and in many parts of the world, girls are the first to be excluded from it. Investing in girls and women is a proven way to improve the health and wealth of a whole nation. 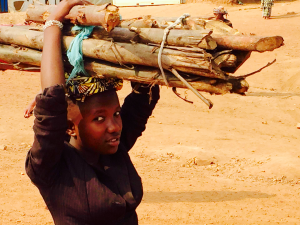 In sub-Saharan Africa, 24 million girls can’t afford to go to school. A girl may marry as young as 13 and has a one in 22 chance of dying in childbirth. One in six of her children will die before the age of 5. Educate a Young Girl Today! Earn up to 25% more and reinvest 90% into her family. Be three times less likely to become HIV positive. Have fewer, but healthier children who are 40% more likely to see life past the age of five. Impact Hope aims to help the young girl get the education she deserves, making a lasting impact in her family and the nation.